The Window at sunrise with early morning fog. As I made my way to the trailhead of The Window, my eyes began to be drawn into the heavy morning fog that was forming at The Window itself. There just so happen to be a boulder that was nearby to stand on, which gave me enough height to get over the treeline for a better view. 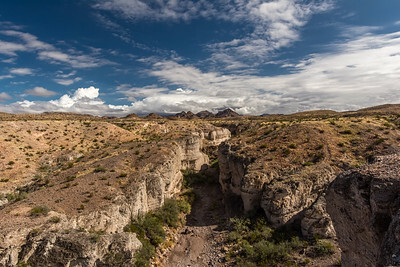 Heart shaped cloud over Tuff Canyon. 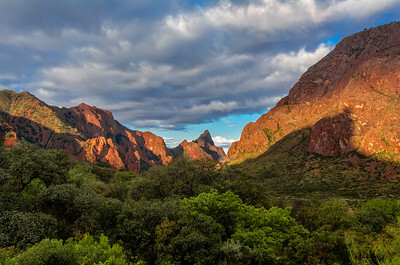 A heart-shaped cloud hovers above Tuff Canyon, as seen from one of the scenic observation overlooks in Big Bend National Park. 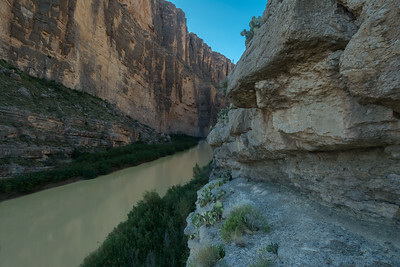 Santa Elena Canyon From Ledge overlook. 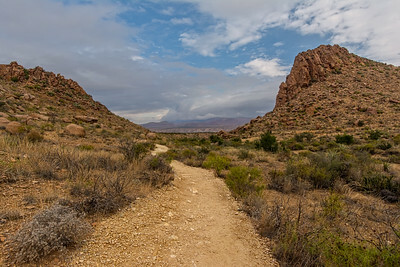 Looking back on the Grapevine Hills Trail. 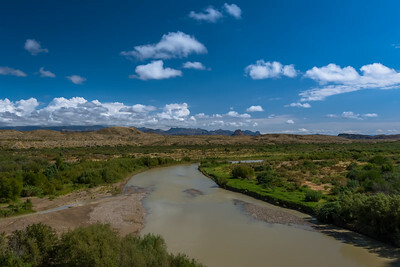 Rio Grande from Santa Elena Canyon. The Window in Early morning light. 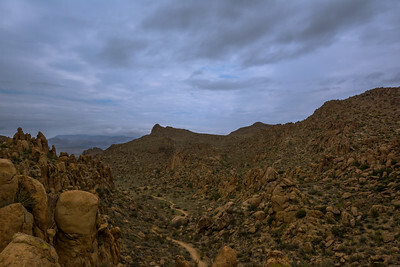 After I successfully dodged some freshly new mud puddles (thanks to a contribution from a thunderstorm that occurred during the golden hour) I came to this point in my hike where the trail started to descend into the treeline. 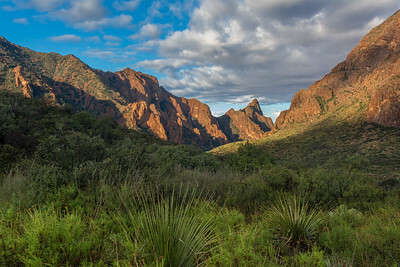 I knew from this moment on, that the early morning light and clouds would be around only for a short time longer, so I decided on this photo of the Chisos Mountains and yuccas in the early morning light. 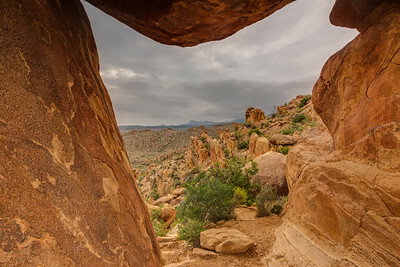 This view is rewarded after a rough 7-mile off-road drive into the desert, followed by a mile long walk through the towering Grapevine Hill laccolith formations, and then a very athletic climb for the last quarter of a mile which requires climbing up and over boulders, until you reach the iconic Balanced Rock formation. 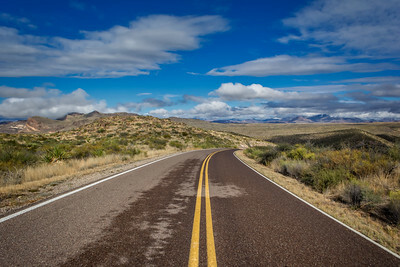 Once you are here, you can walk underneath balanced rock itself, taking in the views of the Chihuahuan desert with Nugent Mountain in the background.